How to start a blog TODAY in 6 easy steps! Want to learn how to start a blog fast? Whether you’re looking for a creative outlet, want to earn a little extra cash so you can hire a cleaning lady, or want to quit your day job so you can stay home with your kids or travel the world with the love of your life, I’m going to teach you how you can start a blog TODAY so you can think big and make your dreams a reality. I first started blogging in November 2010 as a part-time hobby while I was on maternity with my daughter, and after about a year of spending all of my free time writing, interacting on social media, and reading every single blog-related article I could get my hands on, I decided to take a risk and try to turn my little blog into a full-time income stream. I was at a crossroad in my life at the time – I desperately wanted to maintain an active role in my daughter’s life, but I craved the mental stimulation my career in corporate marketing had offered me. I felt like I was losing a part of myself, and while the logical side of my brain knew it was 100% okay for me to have dreams and goals outside of changing diapers and diffusing temper tantrums, I was overcome with guilt every single time I so much as contemplated going back to work. So once my daughter was enrolled in preschool, I put my head down, enrolled in as many blogging courses as possible (I’ll share those with you in a bit), and within 6 months I had not only grown my monthly pageviews from 40,000 to 1,400,000, but I was pulling in more income on a monthly basis than I had while I was working full-time outside of the home. It has been a crazy ride, and as I approach the 5-year anniversary of the best career I’ve ever had, I’m excited to start helping other people recognize their dreams and goals through blogging. 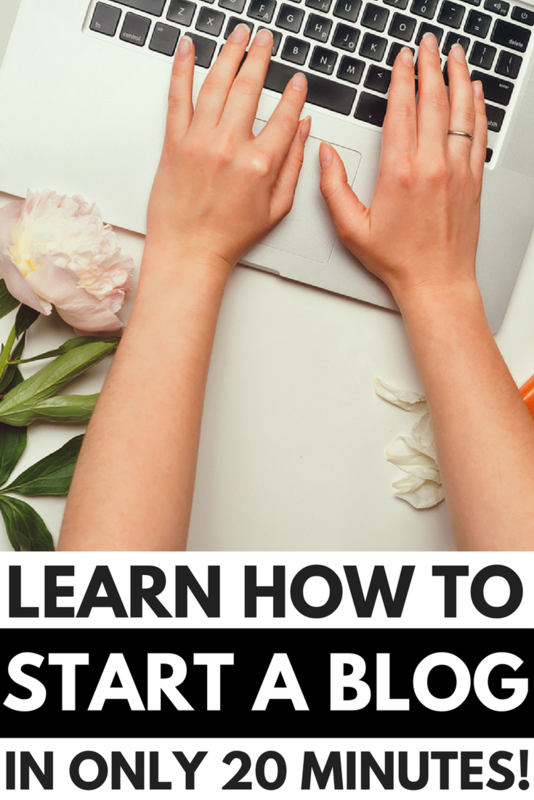 But first thing’s first: I’m going to teach you how to start a blog TODAY in 6 simple steps. Write down all of the things you’re passionate about, brainstorm 25+ blog post topics for each idea, and determine which ones have the most long-term potential. If you struggle to come up with more than 25 topic ideas, or feel your interest waning, it’s time to move on. Be careful not to choose a niche that’s too broad or narrow – you don’t want to limit yourself, but you also want to be sure you and your readers aren’t going to be overwhelmed. No matter how desperate you are to start a blog TODAY, choosing a blog name cannot be rushed. Rebranding a website is not for the faint of heart (I learned that the hard way), so before you take the plunge and start a blog, you want to make sure you choose a name that will grow with you for at least 5 years (hopefully longer). Some people like to use their first and last name (www.FirstLast.com) to be safe, while others prefer coming up with a name that has more meaning to them. My biggest advice is to take your time. You can easily change the niche of your blog, but a name change can be a HUGE undertaking, particularly when you reach a decent level of traffic. 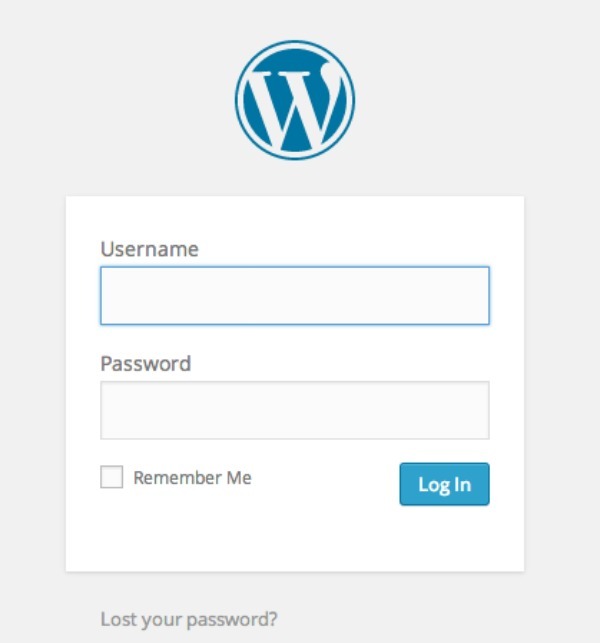 WordPress has always been my blogging platform of choice, but for the purposes of this post, I decided to do a bit of research to make sure my recommendation still holds, and every article I read support what I already knew: WordPress is the preferred platform for professional bloggers. It’s easy to install, user-friendly, and allows for customization through loads of different themes and plugins, and while there is a bit of a learning curve, I think it’s the most powerful and professional option if you’re serious about blogging. I originally started blogging on a free WordPress site, and I found it VERY limiting both from a design and revenue-generating point of view. If you want to make money from your blog through banner ads, affiliate links, creating and selling products, etc., then you absolutely have to start a self-hosted WordPress blog and pay for web hosting. 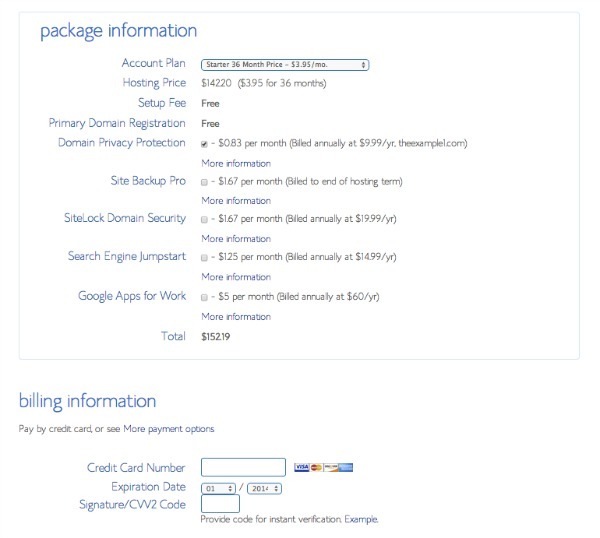 BlueHost offers web hosting at only $3.95/month. Can’t believe you can set-up a blog that has the potential to earn more than you’re currently making at your day job for only $3.95/month? Once you’ve decided on your niche and blog name, it’s time to purchase your domain and hosting. Your domain is the URL people will use to find your blog (example: merakilane.com), and hosting refers to the place your website will live on the internet. I was in the same boat as you 5 years ago when I set-up my first site, but thanks to BlueHost, it was SUPER easy. Even with their cheapest $3.95/month plan – which is perfect for beginners – they throw in the domain name purchase for free. -The ‘Basic’ plan is perfect for bloggers who are just starting out. It’s only $3.95/month and can be changed at a later time if you feel you need to upgrade. 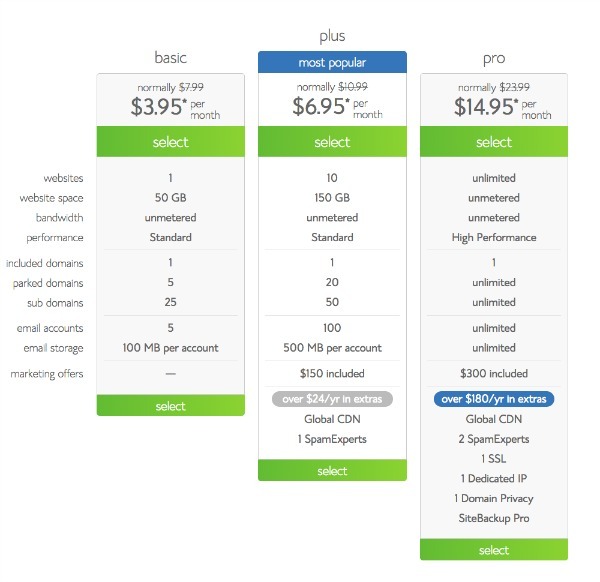 -I recommend purchasing a minimum of 12-months of hosting so you can take advantage of the free domain and a lower monthly rate. This will also simplify your life as you won’t have to constantly go in and renew your subscription plan (a huge productivity killer – trust me! ), and since you can cancel at any time for a refund, it’s a worthwhile investment. -I also highly recommend purchasing Domain Privacy Protection. At only $0.83/month, it’s a cheap way to ensure your contact information stays safe. 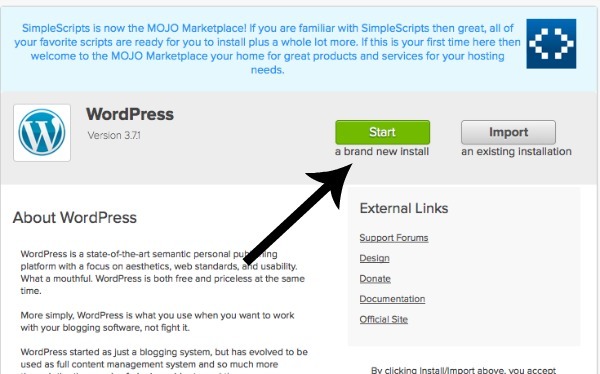 Now that you’ve decided on a niche, purchased a domain, and have hosting set-up and ready to go, it’s time to install WordPress. 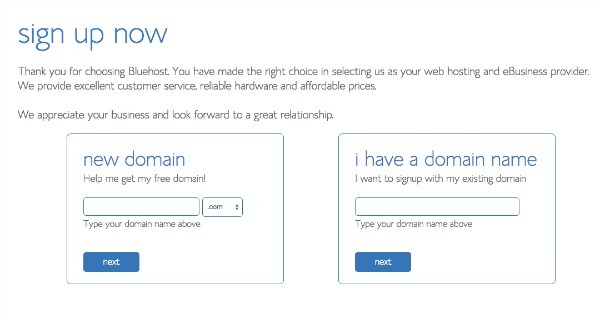 BlueHost makes this step VERY easy, and it’s free! 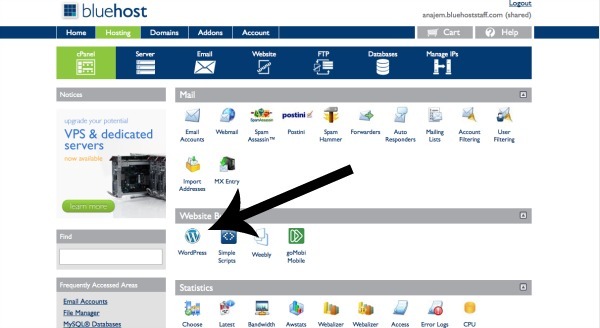 You will receive a Welcome email from BlueHost with your cPanel login information. Once you click on the link, you’ll have 2 options – ‘I CAN DO IT’ or ‘DO IT FOR ME’. Have some faith in yourself and select ‘I CAN DO IT’ and follow these easy directions. Now that you’re all set-up and ready to go, you’re probably thinking: what’s next?! I have SO MUCH to say on this matter – which is why I decided to start blogging about blogging! – but for the purposes of this post, I thought I would provide you with some of my best tips, tricks, and resources. –HOW TO DESIGN YOUR SITE: I spent HOURS and HOURS playing around with different WordPress themes when I first started blogging, and while it was a lot of fun, I learned that web design isn’t my thing as I was never able to create anything professional enough for my liking. If that sounds like you, I highly recommend Angie Makes. Themes start at $70 with video instructions on how to install them yourself. How cool is that? –HOW TO PLAN AND WRITE POSTS: When I first started blogging, I was so excited to have a creative outlet that I started vomiting words all over the internet with no rhyme or reason other than because I felt like it. Now, I schedule a chunk of time each month to put together a detailed editorial calendar so I can plan out my content to ensure I’m focusing on seasonal posts when I should be, and not writing just for the sake of writing. Need help getting started? Check out Blog Clarity’s Content Brew course. I took it 4 years ago and it taught me how to plan and create fresh content ideas not only for my blog, but for my social media accounts as well. I had a full quarter’s worth of content planned by the end of the course, and still use the techniques I learned for each of my quarterly planning sessions! –HOW TO MAKE YOUR BLOG PROFITABLE: I have taken a lot of courses over the last 5 years, and each of them have taught me different tips and tricks to make my blog successful. If you’re just starting out, I highly recommend Ruth Soukup’s Elite Blog Academy. It is the only blogging course I’ve taken that covers EVERYTHING you need to know to turn your blog into a profitable business, and with a 100% refund guarantee if you complete all of the course assignments within the specified time frame and don’t see measurable results, how can you go wrong?! –HOW TO CREATE KILLER GRAPHICS: I have a secret: while some bloggers shoot their own photos for their blog posts, most of us aren’t skilled enough to create such beautiful works of art and purchase them instead. It’s true! I have been using BIGSTOCK for at least 3 years now, and highly recommend their site. They offer tons of images to choose from, and if you’re willing to splurge on a big package of credits, you can buy your images for only $1 each. I then use Picmonkey to crop, add text overlays, etc. to create my pinnable images for Pinterest. –HOW TO BE MORE PRODUCTIVE: I could talk your ear off about how to be a productive blogger, but if I can leave you with just piece of advice, it’s to schedule your content as much of as possible. I schedule my blog posts a week ahead, and I use Hootsuite to schedule all of my social media shares. This allows me to be more deliberate with my time so I’m not working on the fly and making mistakes. –HOW TO HANDLE TECHNOLOGICAL CHALLENGES: While I like to think I’m pretty good with the technological side of blogging, the truth is that I often have NO CLUE WHAT I’M DOING. The good news? Grayson from iMark Interactive offers full web services to bloggers at a really competitive rate. He initially stepped in to help rectify a re-branding nightmare for me in 2015, and has been my go-to guy ever since. Phew! That was a lot of information for one post! If you’re still reading, I appreciate your commitment, and I hope I’ve helped you not only learn how to start a blog FAST, but also given you a good starting point to help you realize your dreams. I really love that quote as it’s what I set out to do each time I sit down at this desk. And as you begin your blogging career, I hope you remember to do the same. If you found these tips to teach you how to start a blog TODAY helpful, please share this post on Pinterest!